If you are on your gap year and looking for something to do in January 2015, we are pleased to say that we have spaces for our gap year sports coaching and teaching group in South Africa. This is an amazing opportunity for people who love sports, love children, and love to explore. We are looking for both sports coaches and teachers/ childcare volunteers for this time period. Coach football, netball, hockey, cricket, rugby, tennis or swimming in one of the world’s greatest sporting nations, bringing your love for sports into some of Africa’s poorest townships. Coach just one or a combination of these sports to improve not only the children’s sporting abilities and teamwork, but your own as well. Our groups love the variety of this programme – both in terms of the sports that you are coaching as well as the number of children that you coach. Our groups go to three different schools each day, 5 days per week, which means that you will be working with 15 schools over the time that you are there. This is an amazing opportunity for the kids as physical education is not part of their curriculum, and our international volunteers offer the only opportunity for them to learn sports in a structured environment. It’s great fun for you too, as you make some great friends and really immerse yourself in a different way of life. Give your time, love and enthusiasm to kids in township schools and nurseries around Port Elizabeth. Encourage them in their learning, developing their English and giving them confidence in the classroom. Volunteers work alongside full time staff to provide support and an extra dimension to the education provided to these children. This is a great opportunity for the kids to meet some international people and develop a passion for the world. Education is so important here, as it is often seen as “a way out” of the crippling poverty that many of these children live in. Speaking English fluently is therefore essential for them. Our volunteers have a great time too, really engaging with the kids and receiving a lot of hugs! Many of our volunteers on this project are excited to get involved in both aspects of this work. They may combine three days of sports coaching with two days of teaching- and this makes a fantastic combination as you can work with a greater range of children. You can also understand their lives a lot more. January is a great time of year to be getting involved in this, as it is the height of South African summer- and it is a perfect time for those on a gap year to head away just after Christmas. You can take part in this for as little as 5 weeks, and up to 12 weeks in total. Everyone that has done 5 weeks has wished that they have stayed on longer (or have opted to stay on for longer) so do bear this in mind! The 12 week project is from 17th January 2015 – 11th April 2015. For more information about sports coaching see our sports volunteering webpage. 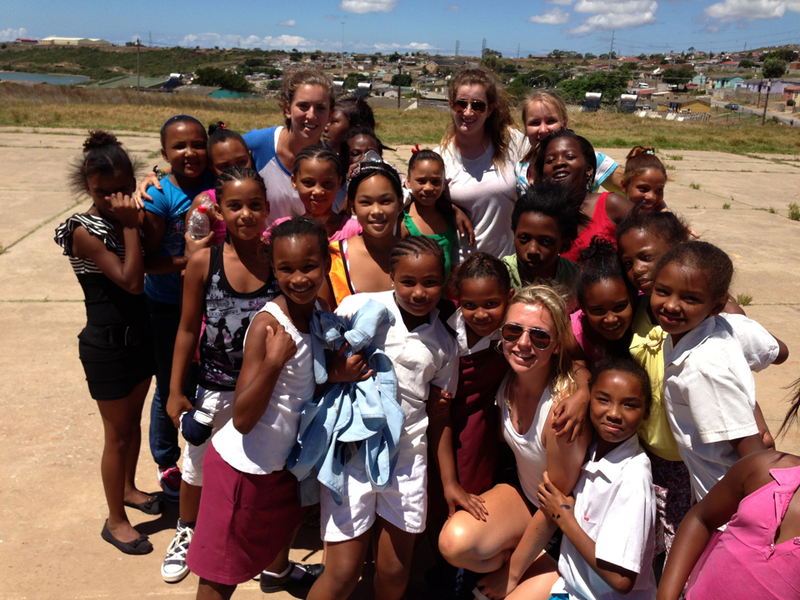 For more information about teaching and childcare, see our South Africa volunteering webpage. Previous Post National Read A Book Day: Our recommend travel reads.